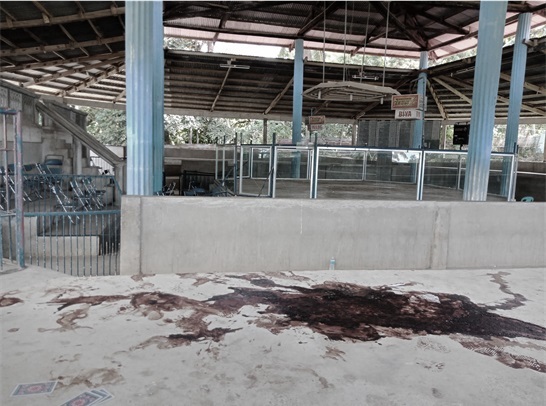 Blood stains remain at the site of the Sunday gun attack against Buenavista Mayor Ronald Tirol inside the town’s cockpit arena. The Philippine National Police (PNP) has identified the alleged gunman in the killing of Buenavista Mayor Ronald “Sampol” Tirol inside a cockpit arena in Barangay Asinan, Buenavista on Sunday afternoon. Buenavista chief of police Chief Insp. 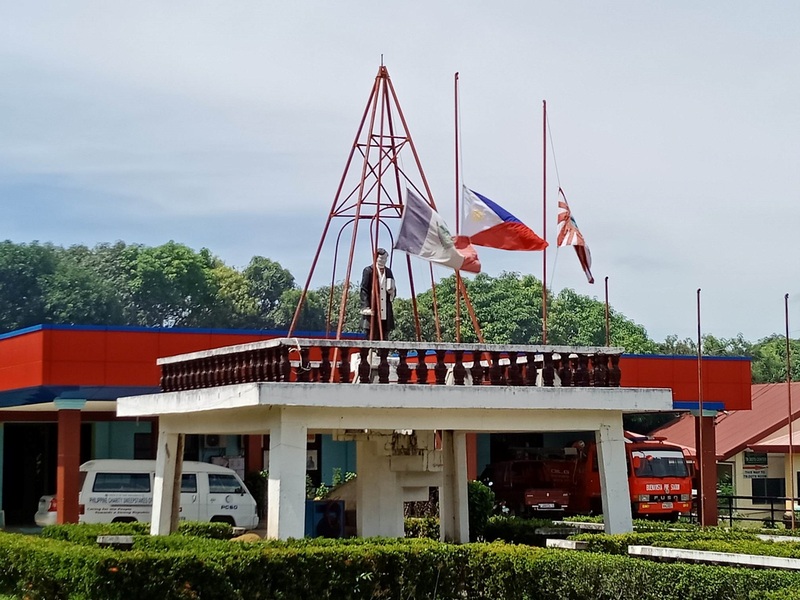 Rolly Lauron on Monday afternoon confirmed a statement made by the Police Regional Office 7 identifying the suspect as Elmer “Eti” Abanda Melencion. Melencion was among at least three suspects but he has been pinpointed as the lone gunman during the daring daylight gun attack against the mayor. The other suspects, who were riding motorcycles, served as lookouts and getaway driver for Melencion. According to Lauron, a murder charge will be filed against Melencion on Monday or on Tuesday. Five witnesses have already coordinated with police in pinpointing Melencion as the gunman. “Although na identify yung gunman, the work is still not complete kung di makuha ang mastermind,” said Geñorga. Police are considering politics, business and personal conflict as possible motives behind the attack. The town of Buenavista is known to be a hotbed of intense political rivalries, Geñorga said. “May intense political rivalry ang Buenavista, at meron ding iba na gusto nating imbestigahan like mga business entities,” he added. Tirol, 38, was shot dead inside his town’s cockpit arena at past 3 p.m. on Sunday. He was still rushed to the Francisco Dagohoy Municipal Hospital in Inabanga but later succumbed to his injuries. Tirol sustained gunshot wounds in the head, two beside his right eye and one near his right jaw. “Wala mideklara ang doktor nga DOA [dead on arrival]. In fact, duna pay revival, nagrevival pa ang doktor didto sa hospital kay naginhawa pa man to pag-abot pero mga minutes after sa ginahimo nga revival nakabsan gyud sa kinabuhi ang mayor,” said Lauron. Tirol was playing cards when the gunman who was wearing a sweatshirt and was not covering his face suddenly approached him and shot him repeatedly at close range. According to Lauron, one of Tirol’s two bodyguards was running an errand for the mayor during the attack while the other was able to spot the gunman. The bodyguard was able to fire once at the suspect but was unable to shoot again and apprehend him as chaos immediately erupted in the crowded arena following the gunshots. In 2014, Tirol survived an attempt on his life inside a cockpit arena in Clarin. Lauron said that Tirol received several death threats before he was killed. Tirol first ran for mayor under the Nationalist People’s Coalition in 2013 and won. In 2016, he ran under the United Nationalist Alliance and was re-elected.